ONLY FOR A SHORT TIME - the all rounder 15 % reduced! 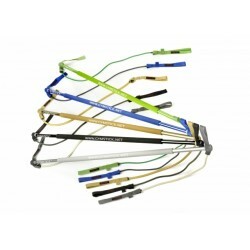 The Gymstick for an effective strength, endurance, flexibility and coordination workout. A varied total body workout or a workout just targeting specific muscle groups - both are possible. The Jumbo Rubberband is of flexible, versatile, and varied use. Either as support for stretching, as additional leverage effect for doing bench press or as support for functional training. 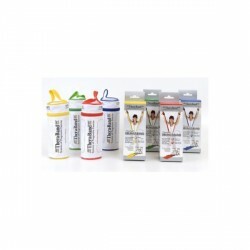 The powerbands resistance tubes allow to do all exercises and workouts and to choose the training intensity individually. 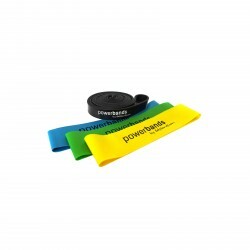 The powerbands resistance tubes SET MAX includes a powerband MINI each in yellow (light), green (middle), and blue (heavy) as well as the powerband MAX in black. 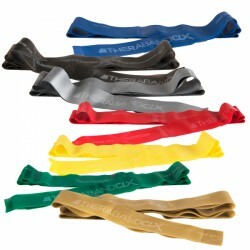 Thus, the powerbands resistance tubes SET MAX is suitable for beginners and pros. The "smallest gym in the world" - do your training always and everywhere! Suitable for beginners, advanced, and pros! 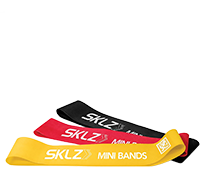 The SKLZ Resistance Tubes Mini Tubes is a very effective and versatile training device, which has become very popular due to the national football team. 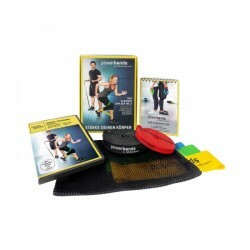 In contrast to the powerbands SET MAX, which contains all three powerbands MINI and the powerband MAX in black (middle resistance), the powerbands resistance tubes SET PRO is upgraded by a further powerband MAX in red (light resistance), an informative powerbands training guide and a wide-range DVD with a multitude of exercises and workouts. Helpful when you do workout legs. Can't be without it. 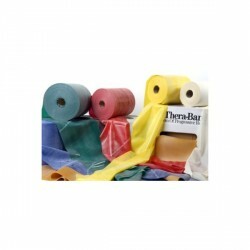 Physio bands and tubes offer versatile possibilities of use for increasing power and flexibility. By means of the elastic and progressive resistance, an effective training of upper and lower part of the body is achieved. 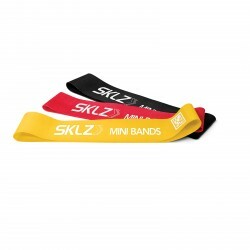 Physio bands and tubes are small and light though very effective. Due to different pull strengthes, you have the possibility to vary the intensity of your training.